An element in an XML document is an object that begins with a start-tag, may contain a value, and may terminate with an end-tag. Based on this, the combination of a start-tag, the value, and the end-tag is called an element. 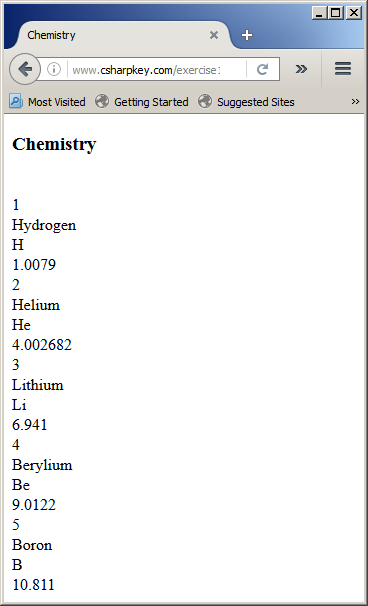 An element can be more than that. We know that every XML file must have a root and you can use the XmlDocument.DocumentElement property to access it. This property is of type XmlElement and, to access it, you can declare an XmlElement variable and assign it this property. An XML element is represented in the XmlNodeType enumeration as the Element member. When using the Read() method of an XmlTextReader object, to find out if the item being read is an element, you can check whether the member of the current XmlNodeType is Element. 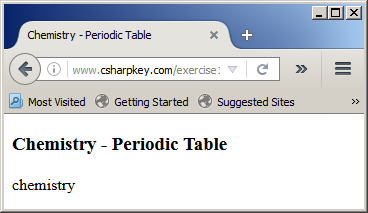 The name of an element is the string that represents the tag. For example, in <Director>, the word Director is the name of the element. An element must have at least a start-tag. All of the tags we have seen so far were created as elements. 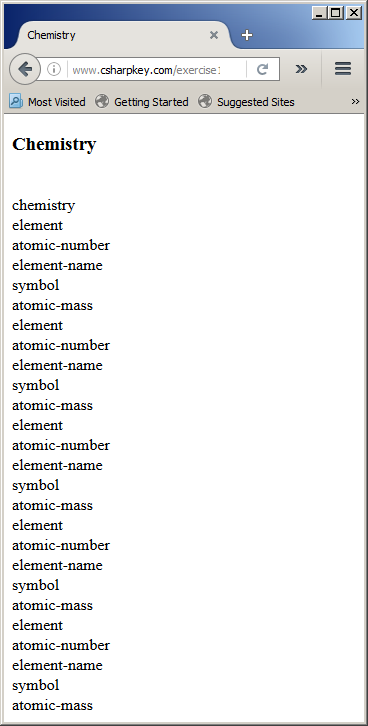 When creating your elements, remember to follow the rules for names in XML. If you try using this XML document, for example, if you try displaying it in a browser, you would receive an error. This property produces all values of the children of a node in one block. We already saw how to access each value of the children of a node by calling the XmlTextReader.Read() method and get its Text. Notice that the XmlNodeList implements the IDisposable interface. This means that its variable consumes resources and that variable should (must) be closed at the end of its section. As you may remember, the alternative is to include its code in a Using section. When this property is used, it produces an XmlNodeList list, which is a collection of all nodes that share the same parent. Each item in the collection is of type XmlNode.